I had a stay-at-home mom for most of my childhood and adolescence. I don’t have any memories of our house being messy or the sink being full of dishes. I don’t really recall my mom doing laundry, yet my laundry was always washed and returned to my room after school each day. As a result, I waltzed into marriage with no clue what I was doing. I didn’t really know how to cook and I had no idea how to manage a household: cleaning, laundry, maintenance, tips and tricks, nothing. Now I will say that I was always a neat and tidy kid and teenager. I enjoyed keeping my room clean and I regularly rearranged the furniture in my room completely by myself…which could explain some of my current back issues. lol! But as far as logistics, methods, and skills, particularly in the kitchen–I had nothing. Hi! Thanks for stopping by! I’m excited to give you a glimpse into our daily life. Large families seem to be a bit of a mystery to some people. I get questions like, How do you do it all? Do you have a big house? What do you drive? How many bedrooms do you have? Are you super organized? 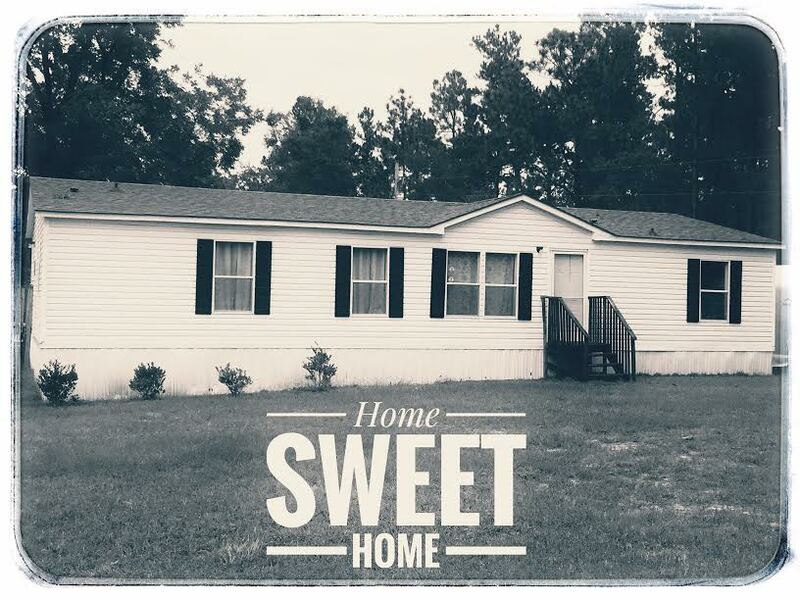 So I thought this would be the perfect opportunity to introduce myself to those of you who are new around here and give you a tour of our three bedroom trailer, affectionately called the Meadow Cottage, and share how we live comfortably as a large family in a little house. I’m Audrey and I’ve been married to my web developer husband, Josh for almost 15 years. 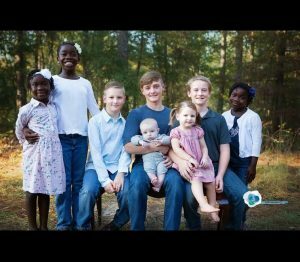 We have four biological sons, one biological daughter, and three adopted daughters from the Democratic Republic of Congo. They range in age from 4 months to 13. Two years ago we only had three sons and were in the process of adopting three sisters from DRC. At the tail end of our adoption we were shocked to discover we were pregnant after seven years of infertility–Annie was born August 6, 2014. In October 2015 God confirmed to us that our years of infertility were indeed over as we found out we were expecting baby number eight. Since I’m revamping my blog and now have a new name that more appropriately fits our life I’ve decided to do a series introducing myself and my family and give you a peek into our life. 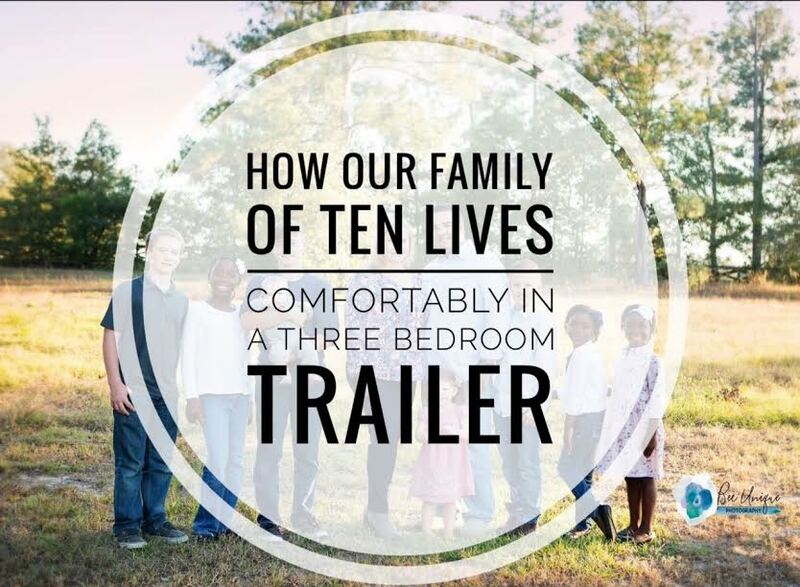 Follow along if you’d like to hear how our family of ten makes life work in a three bedroom trailer while we pay off debt and build our dream house–ourselves. 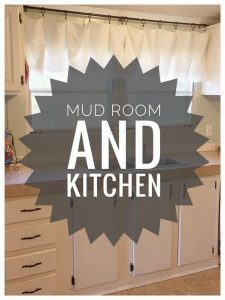 I’ll give you a tour of the trailer, affectionately called the Meadow Cottage, and share all the things that make life easier and more enjoyable on our little slice of farmland. These days, with six children, my organizational tendencies come and go…mostly GO. My pile of magazines consisted mostly of Family Fun, Better Homes and Gardens, Parenting, and Southern Living. Over the years I have dog-eared my favorite recipes, projects, crafts, decorating idea, etc. I decided to take the plunge and finish this project, knowing that in the end the magazines would be gone and I’d have the best of all of them in three organized notebooks! I started by tearing out all the great ideas. I organized them by crafts, activities, holiday, recipes, and just plain great ideas (decorating, parenting, party planning, etc.). I purchased three notebooks and a few packages of sheet protectors and got to work. Here are the finished products. I’m quite happy with the results. I hope this helps someone out there who has been hoarding magazines for fear of throwing away a really great article or idea! and Big Drew giving us a big smile; SOOO CUTE!!! I love these boys!